Every year the prestigious Cambridge English Language Assessment, part of the University of Cambridge, hosts an Award ceremony to recognize and reward the efforts of the global network of registered Cambridge English Exam preparation centres. Winners were selected as part of a global nomination process that took place at the beginning of the year and was conducted with the help of regional offices around the world. 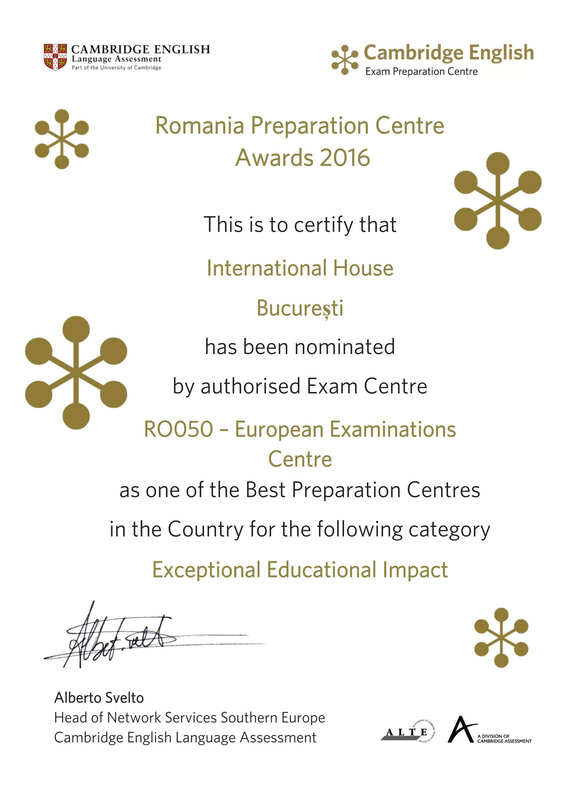 Winning preparation centres needed to exhibit an exemplary standard in their commitment to students, parents and teachers as well as an innovative approach to the utilisation of digital technology to ensure a Customer First approach. The Reception, Awards Ceremony and Gala Dinner were held at Christ’s College, Cambridge on Thursday 30 June and winners were each presented with their trophies. 12 finalists from centres all over the world were invited to attend the event from 30th of June to the 4th of July in Cambridge. Representatives of the schools stayed at King’s College and took part in workshops and seminars. 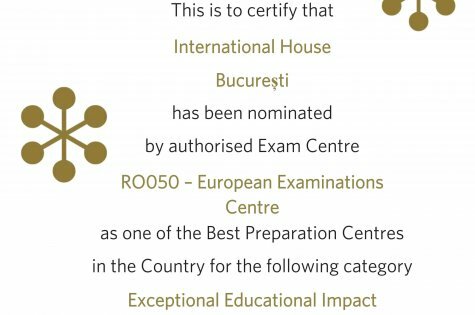 International House Bucharest is proud to announce that it was nominated by Cambridge authorised Exam Centre as one of the best preparation centres in the country for the category Exceptional Educational Impact.